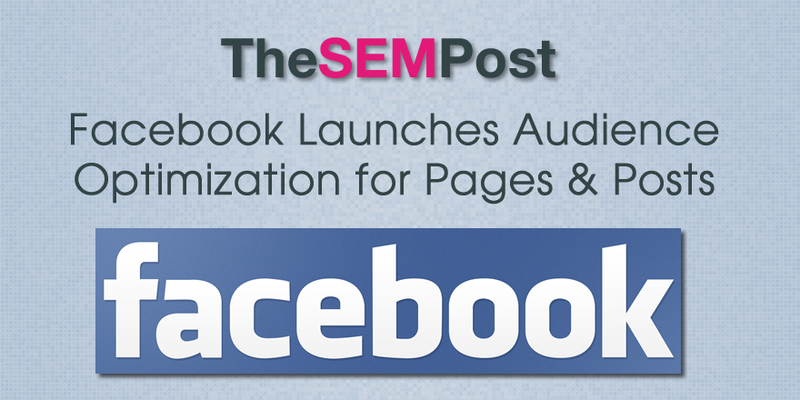 Facebook has launched a new feature that allows Facebook Page publishers to customize the audience for any post they make to the page. This means that Pages could have similar posts, but each tailored to a specific audience and then targeting to that audience using the audience optimization tool. Be aware that the custom audience options are only available prior to publishing. After it is published, there seems to be no way to customize. Then, you can restrict by demographics, including location, gender, age and language. 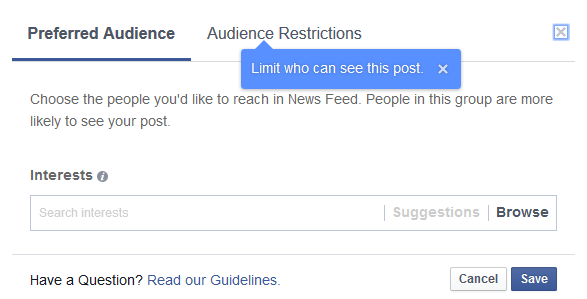 Lastly, you can restrict it by interests, similarly to how you can target Facebook ads by interests. There are also new audience insights that allow you to see how specific audiences are responding to your posts, based on clicks, likes and shares, as well as the reach of each audience. Does this mean your post will get more exposure than if you left the optimization settings alone? Not necessarily. But it might ensure that you are targeting the right kind of people, especially if you have noticed spammers liking your page from specific locations. Facebook Page owners have been faced with major reductions in the exposure their posts are getting, with constant push from Facebook to pay for that exposure instead. And with more companies competing for ad space on user’s timelines, it has become very expensive for Pages to do well. 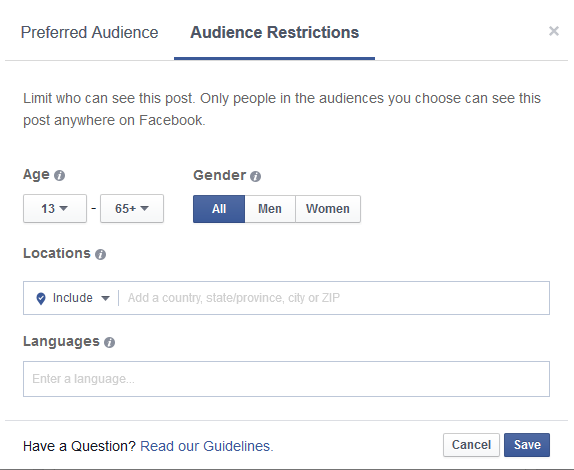 So it will be worth watching to see if these audience optimization settings help with the organic exposure for Facebook Pages. If you hire someone, be very careful they are building you the right kind of links. There are a ton of “pros” out there who are creating mass crap links for short term gains, until Google swoops in with a manual action.